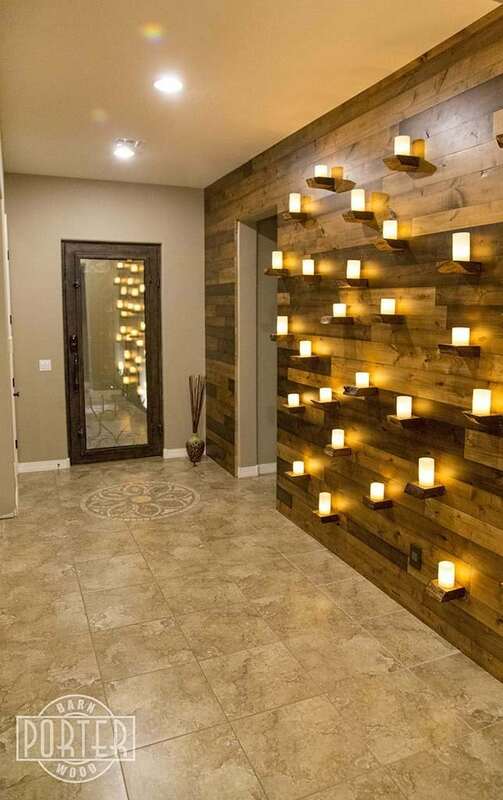 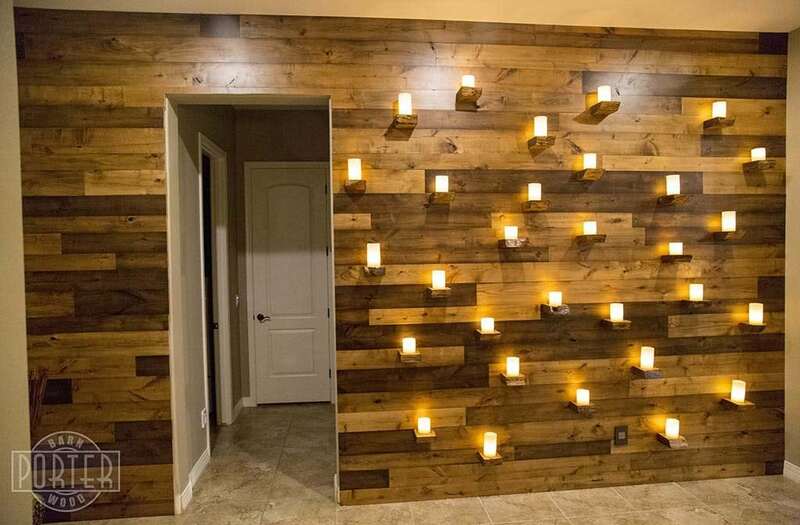 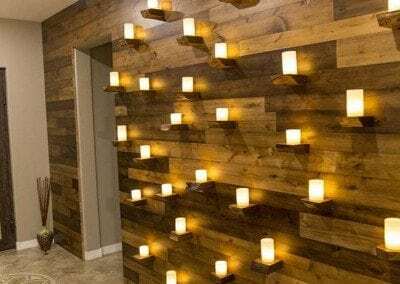 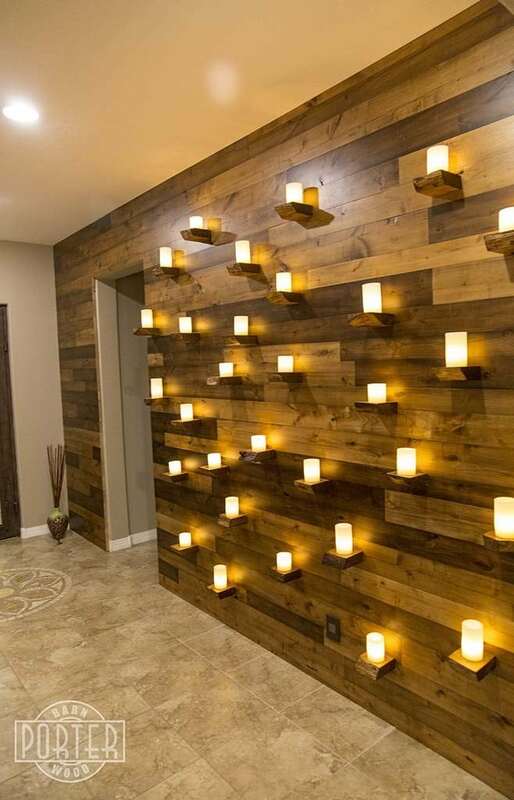 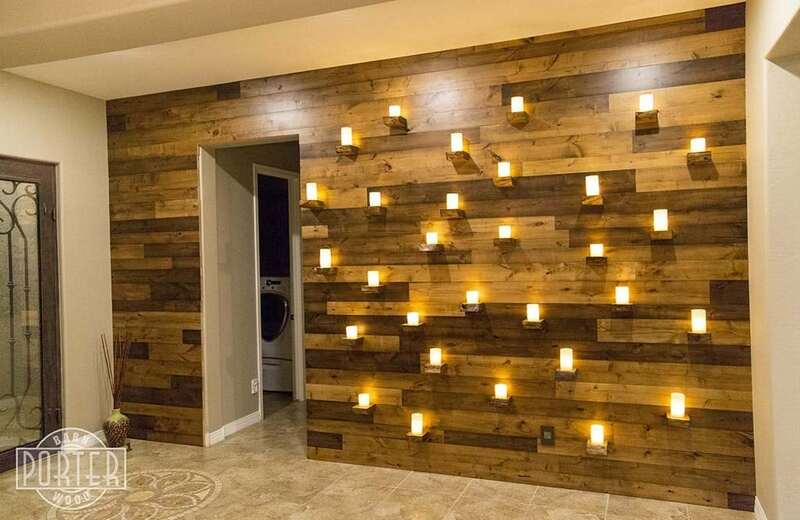 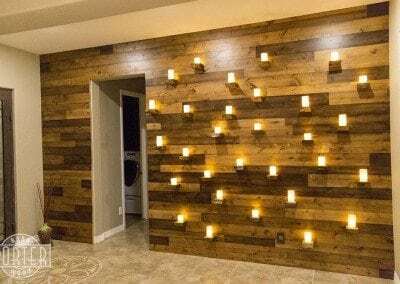 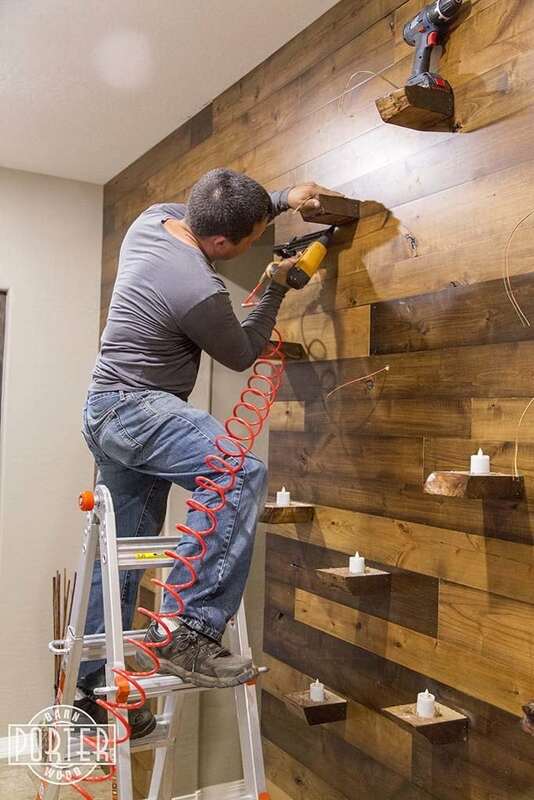 Night the light – the exact action this customer is able to do after installing this Knotty Alder wood wall covering. 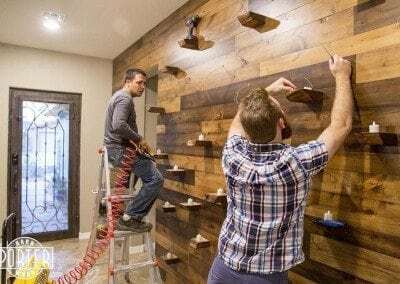 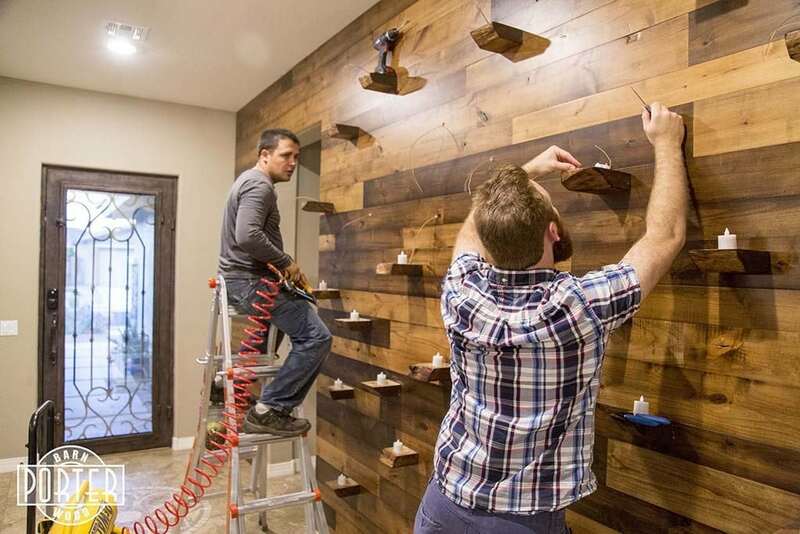 We applied a 3 tone van dyke lacquer on the wood wall and integrated floating shelves made from live edge slabs. 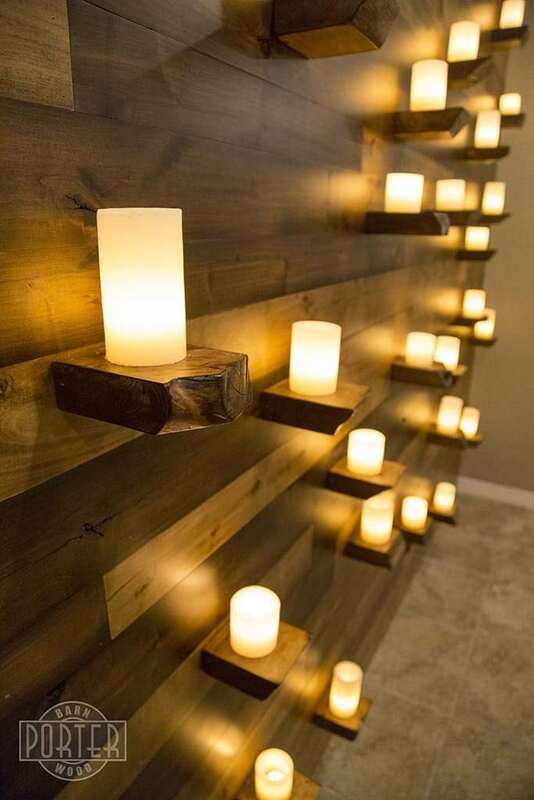 The customer helped during the install, by hard wiring the necessary wires to each shelf connecting the electronic candles to a single switch. 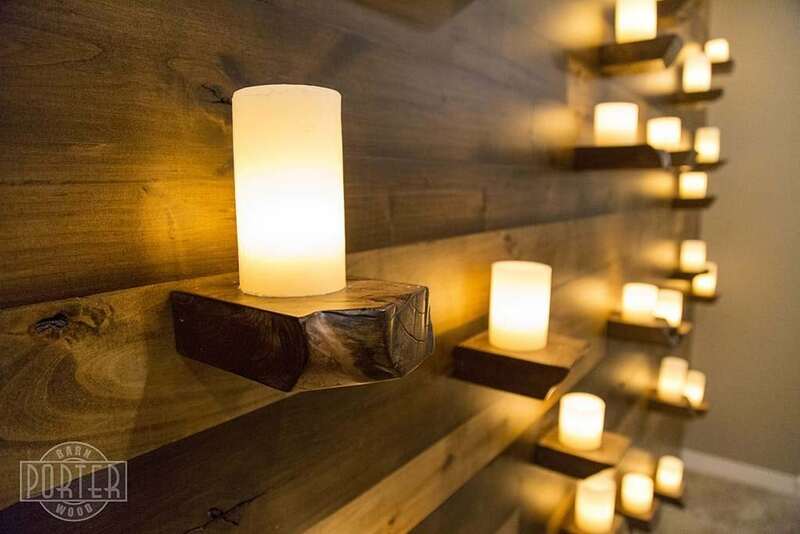 The candles are fun, because they are encased in a wax candle and appeal to be real. 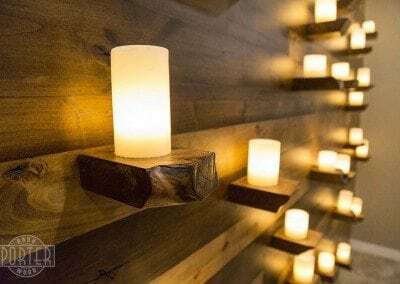 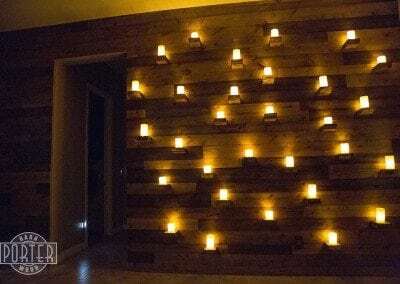 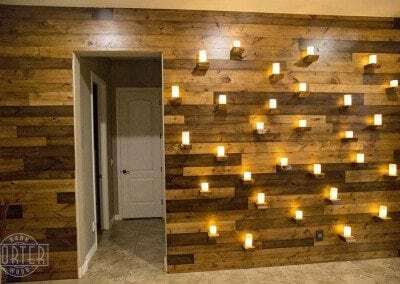 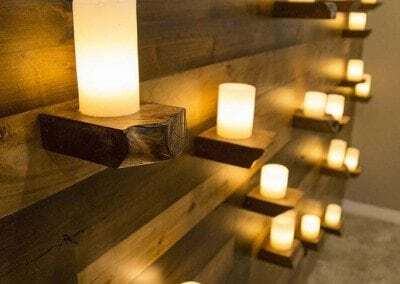 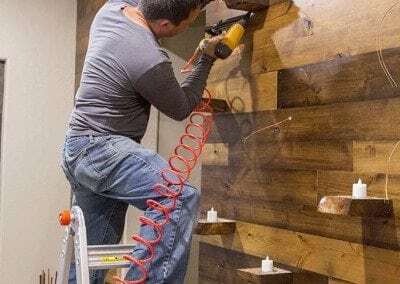 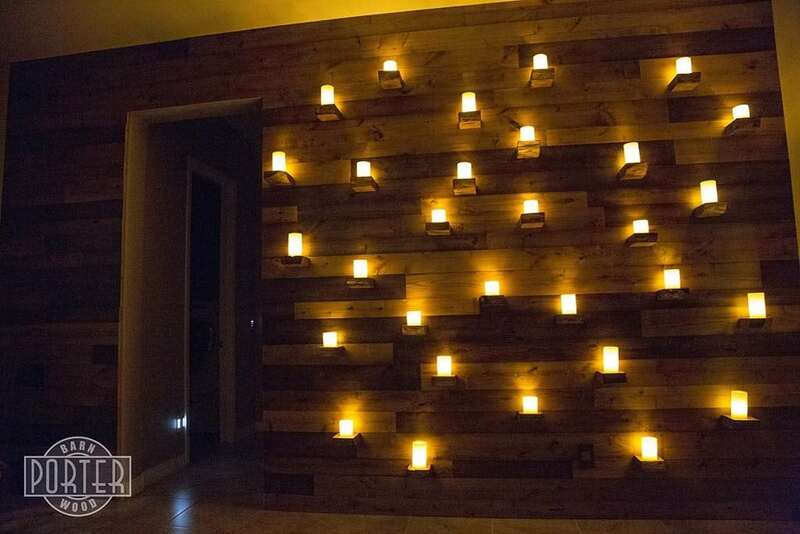 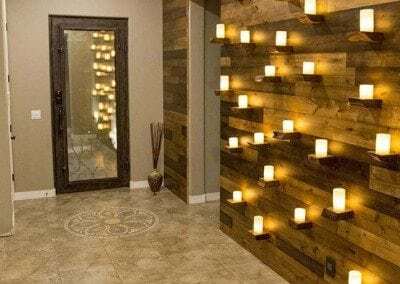 The project was a fun build, and the candles go perfect with the 3 different tones of the wood.